There are a number of ways you can contact us and keep up-to-date with our international activities. If you have a specific question or feedback, you can complete our online form. Please provide as much information as possible to help us with your enquiry. Chat with us on Skype - we are available at cardiffuni_international on Monday to Friday from 10am to 4pm. Download the 2019 international prospectus containing course information, an introduction to Cardiff and Wales, accommodation information and guide to university life. Alternatively, order a printed copy to be posted out to you. 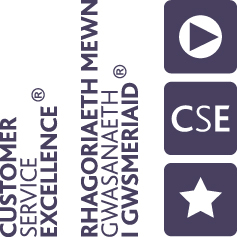 The International Office is proud to hold the Customer Service Excellence standard and are committed to providing a service which is friendly, helpful and responsive to your needs.